Well, the game is fast approaching, which means the “Birth of a Rivalry” series is coming to an end (finally). Boy, that escalated quickly… I mean, that really got out of hand fast. I had no idea it was headed for an 11-part series of pieces, but I’m glad I did it and hopefully you enjoyed it. Today we take a look at this year’s match up. Nebraska has the Big XII North title wrapped up and Colorado limps in with a 2-9 record. Dan Hawkins takes over and immediately “shucks” the red-letter treatment. So, I guess all that rivalry talk will take a back seat this year. First we see a video espousing the death of the Colorado football program following their loss to Montana State. 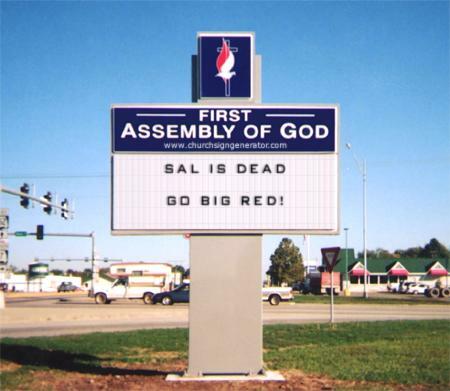 This just had to be made by a Husker fan. You can check the video evidence below. So, it might not be Ohio State – Michigan or even Florida – Florida State, but it is something. A year ago Nebraska entered the Colorado game with a 6-4 record. Two weeks earlier they had snapped a 3-game conference losing streak by beating Kansas State 27-25 on a last minute FG. Colorado came into the match up with a 7-3 mark with losses to Miami, Texas and Iowa State. While the teams lacked the luster of previous editions, the game remained important for both squads. 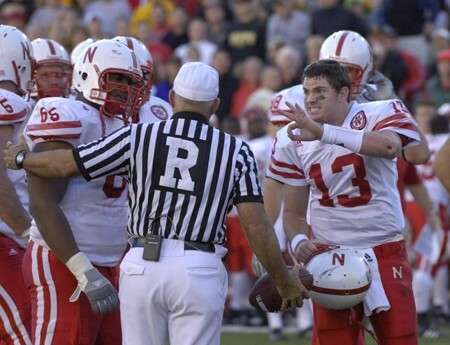 The action in the contest started before the ball was even kicked off, when the Colorado team confronted Nebraska during pregame warm-ups began taunting them. When the tension died down, Nebraska got the ball first, but was held to a three-and-out on its first series of the game. Senior punter Sam Koch then boomed a 56-yard punt that sailed out of bounds at the CU 31. 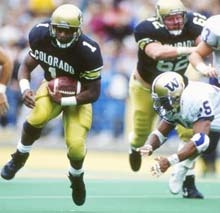 After Koch’s effort, CU running back Hugh Charles raced 45 yards to the NU 24 on Colorado’s first offensive play. The Blackshirts stiffened, however, holding CU to a 33-yard field goal from Mason Crosby that gave the Buffaloes an early 3-0 lead. The Huskers answered on their ensuing drive, sparked by a key third-down conversion. On third and five from the NU 25, Taylor connected with Ross for a 15-yard gain to keep the drive alive. The conversion energized the Husker offense and on the next play, Taylor found redshirt freshman Nate Swift for a 33-yard gain to the Buffalo 25-yard line. Freshman Jordan Congdon then ctapped the drive when he nailed a 26-yard field goal attempt to tie the game at 3-3 with 8:06 remaining in the first period. After stops by both defenses, Taylor found Ross on a short pass that the senior back turned into a touchdown by sprinting untouched into the end zone to give Nebraska its first lead of the game at 10-3 very early in the second quarter. After another stop by the Blackshirts Taylor then fired a strike to a wide open Todd Peterson for a gain of 38 yards down to the CU 9. Cody Glenn then rushed up the middle for nine yards to the one and took the next carry into the end zone for the touchdown. On the Huskers’ next possession Ross took a pitch from Taylor, which he pitched back to Taylor. With no one open downfield, Taylor tossed it back to Ross in the flat, who raced down the sidelines for a 25-yard gain to the CU 25. Nebraska soon found itself, however, in a second-and-28 situation, but Taylor was unfazed and found junior Frantz Hardy for a gain of 35 yards inside the Buffs’ 10. After a holding penalty wiped out an apparent touchdown pass to Peterson, Congdon nailed a 30-yard field goal to increase the Huskers’ lead to 20-3 with 4:44 remaining in the first half. Colorado picked up one first down on its next drive, but soon found themselves punting once again. Nebraska picked up a third and inches with a Taylor quarterback sneak on its next drive before three consecutive incompletions forced an NU punt with 1:26 left in the half. Koch came on to punt and unleashed a 63-yard punt out of the CU end zone for a touchback. A completion and a pass-interference penalty gave CU a chance to score before the half, but a Klatt pass was intercepted by NU’s Adam Ickes that set the Huskers up at the CU 49 with 53 seconds remaining in the period. With 10 seconds remaining, Taylor found junior Grant Mulkey for a 34-yard gain inside the CU 5 with two seconds left on the clock. With the clocked stopped after the first down, NU was set waiting for the official’s whistle to spike the ball and set up a field goal, but the officials ruled the Huskers did not spike the ball before the clock ran out, so the Huskers’ took a 20-3 lead into the break. 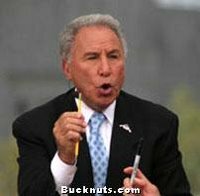 Although Nebraska failed to score in its hurry-up offense, CU coach Gary Barnett apparently took the attempt personally, as evidenced by this video. 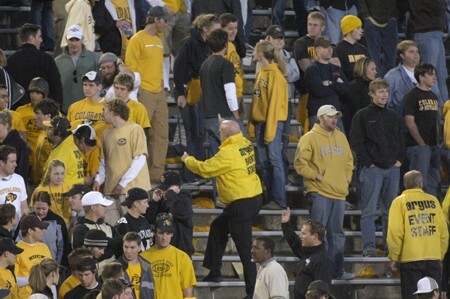 The game was marred in the fourth quarter by unruly fans who hurled debris onto the field, leading to an unprecedented ejection of an entire section of CU students from the stadium. Colorado never recovered from the loss. They would be crushed by Texas in the Big 12 Championship Game 70-3 and also fall to Clemson in the Champs Sports Bowl. Nebraska, on the other hand, would use the game as a spring board to an unexpected victory over Michigan in the Alamo Bowl. So you knew it was coming and here it is. In the time that has passed, the sting from this game has subsided very little. 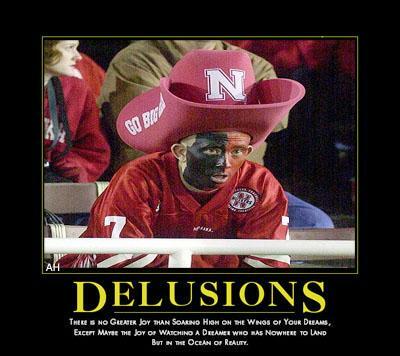 I suppose part of what keeps the rivalry alive for Husker fans are the bitter thoughts of 2001. Nebraska entered 2001 ranked 4th nationally. The Huskers opened with four non-conference wins, including a 27-10 home win over 17th ranked Notre Dame. Nebraska then kicked off its Big 12 slate with wins over Missouri, Iowa State, Baylor and Texas Tech. This set up a match up between #3 Nebraska and #2 Oklahoma in Lincoln. 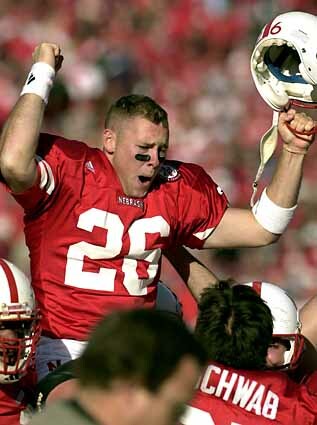 With help from the now notorious Black 41 Flash Reverse Pass to Eric Crouch, Nebraska emerged victorious 20-10. 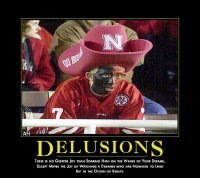 The Huskers would then move up to #2 in the polls and would roll to wins over Kansas and Kansas State. 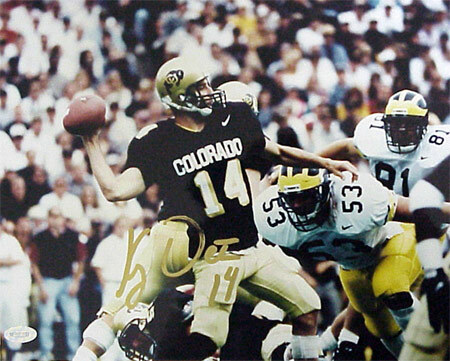 Colorado’s 2001 season began in a less than stellar fashion. The Buffaloes lost their first game of the year at home to unranked Fresno State. After the loss, CU bounced back and won five straight games, including victories over ranked opponents Colorado State and Texas A&M. A week after the A&M win, the Buffaloes were trounced by Texas in Austin 41-7. After this loss, Colorado again rebounded for victories over Oklahoma State, Missouri and Iowa State. This produced a November 23rd battle between #2 Nebraska and #14 Colorado in Boulder. Colorado started the game quickly when tailback Bobby Purify raced through a gaping hole up the middle for a 39-yard TD run 2:43 into the contest. Nebraska’s Dahrran Diedrick fumbled on next Husker possession, and Buff QB Bobby Pesavento soon followed that with a 21-yard touchdown pass to tight end Daniel Graham. 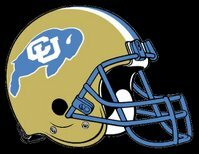 Pesavento later threw a 49-yard pass to Graham, setting up a one-yard TD run on a quarterback sneak to give CU a 21-0 lead than 10 minutes into the game. Nebraska’s Josh Davis returned the ensuing kickoff 74-yards, which set up the Huskers’ first score, a 27-yard field goal by Josh BrowN. Sophomore Chris Brown then got rolling for the Buffs and had TD runs of 12 yards late in the first quarter and 36 yards in the second. This gave Colorado a 35-3 lead early in the second quarter. Nebraska rallied for touchdowns on its next three possessions. Fullback Steve Kriewald had a 24-yard scoring run, and Dahrran Diedrick went in from 32 yards out. After another Chris Brown touchdown, the Huskers needed just two plays to counter, on Diedrick’s short run with 2:53 to go in the half. Colorado would go into halftime with a 35-3 advantage. A 25-yard run by Crouch later in the third quarter put the Cornhuskers deep in Colorado territory. But Diedrick fumbled at the goal line with 8:33 left to keep the score at 42-23. Later in the third quarter, six-yard TD run by Crouch would cut the deficit to 42-30 with 4:17 left in the third quarter. Unfortunately the Huskers never got any closer as Colorado went on a 93-yard drive capped by Chris Brown’s fourth TD, which gave the Buffaloes a 49-30 lead. 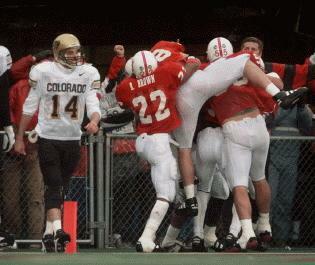 CU Safety Michael Lewis then intercepted Eric Crouch moments later, and Brown ran 13 yards for his fifth score. Crouch was then intercepted again by linebacker Joey Johnson which led to Brown’s sixth TD giving Colorado another 32-point advantage, 62-30, with 9:41 left. Nebraska would add a late score to make the final score Colorado 62 – Nebraska 36. The Nebraska defense allowed the most points in school history on that day, topping the 61 surrendered in a loss to Minnesota on October 6, 1945. 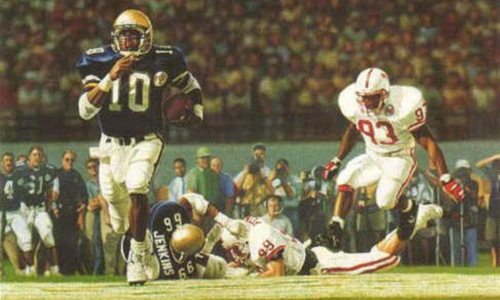 Heisman Trophy hopeful Eric Crouch carried 18 times for 162 yards and two touchdowns and completed 13-of-28 passes for 198 yards. But he also threw a pair of interceptions, accounting for half of the Cornhuskers’ four turnovers. Dahrran Diedrick accounted for the other two turnovers, but did carry 16 times for 94 yards and 2 TDs. The victory over Nebraska propelled Colorado the Big 12 Championship game and a match up with #4 ranked Texas. The Buffaloes surprised the Longhorns 39-37, which would lead to a trip to the Fiesta Bowl versus Oregon. The Ducks would start fast and defeat CU 38-16 ending Colorado’s five game winning streak. After the devastating defeat, Nebraska was given a second chance at the national title by the BCS computers. The Huskers would meet Miami in the Rose Bowl for a shot at redemption. Unfortunately, Nebraska fans would soon learn just how wide the talent-gap was becoming between the Huskers and college football’s elite. Miami exploded for 27 second quarter points and all but snuffed out NU’s rushing attack on their way to a 37-14 victory. Nebraska finished the year 11-2 and ranked 8th. My rivalry-envy continues. It is often said of rivalry games that you can “throw out the records”, as the two teams seem to fight hard no matter their supposed chances. 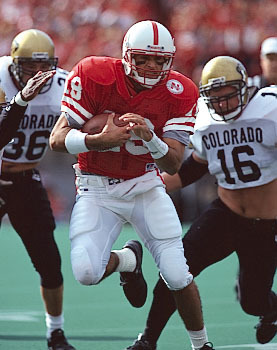 As the late 1990s began, the Nebraska-Colorado rivalry began to take on this quality. Check out the battles that took place between 1996 and 2000. 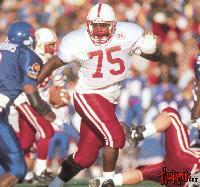 1996 Nebraska 17 – Colorado 12. 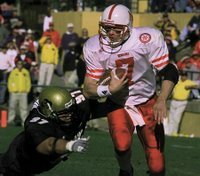 The 1996 contest featured 4th ranked Nebraska (9-1, 7-0), versus 5th ranked Colorado (8-2, 6-1), as a constant rain fell in Lincoln. Colorado jumped to a 6-0 lead on field goals of 45 and 40 yards by Jeremy Aldrich in the first 7:17 of the game. The Buffaloes got the ball back 83 seconds after the second field goal, but Jay Foreman picked off a Koy Detmer pass and raced 21 yards untouched for a score that put Nebraska up 7-6. Kris Brown then kicked a 30-yard field goal 2:14 into the second quarter and DeAngelo Evans bulled in from the seven as Nebraska extended the lead to 17-6 before halftime. Colorado had more luck stopping Nebraska in the third quarter, but the Buffaloes were able to manage only a 38-yard field goal by Aldrich with 7:57 left in the period, cutting the deficit to 17-9. Aldrich later booted a 27-yarder with 8:46 to go in the game as Colorado closed within 17-12. The Buffaloes got the ball back and drove into Nebraska territory again, but Koy Detmer’s pass on 4th-and-11 fell incomplete with 2:53 remaining. DeAngelo Evans finished with 123 yards on the ground and Scott Frost was 6-of-14 for 56 yards. Grant Wistrom led the Blackshirt attack recording 13 tackles and a pair of sacks. The win clinched the Big 12 North title for Nebraska setting up a showdown with Texas in the inaugural Big 12 Championship Game. 1997 Nebraska 27 – Colorado 24. 2nd ranked Nebraska (10-0, 7-0), came into the game over unranked Colorado (5-5, 3-4) looking for a lopsided win to impress the pollsters. Nebraska scored on its first two possessions, but had only a 10-3 halftime lead over the Buffaloes who were 21-point underdogs coming into the contest. On the first play of the second half Ahman Green bolted 64 yards to the CU 16-yard line. He then scored on the next play. 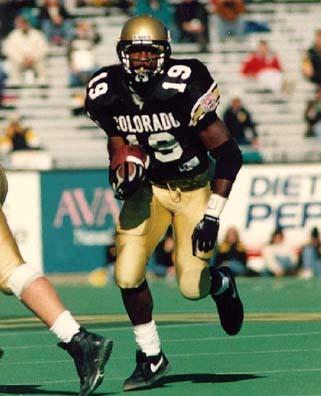 Colorado then countered quickly as John Hessler found Darrin Chiaverini for 45 yards, and then lofted a screen pass to Dwayne Cherrington who went 35 yards to cut the deficit to 17-10. Nebraska then struck right back when Green capped a 77-yard drive with an 11-yard run and Kris Brown then added a 46-yard field goal late in the quarter for a 27-10 lead. 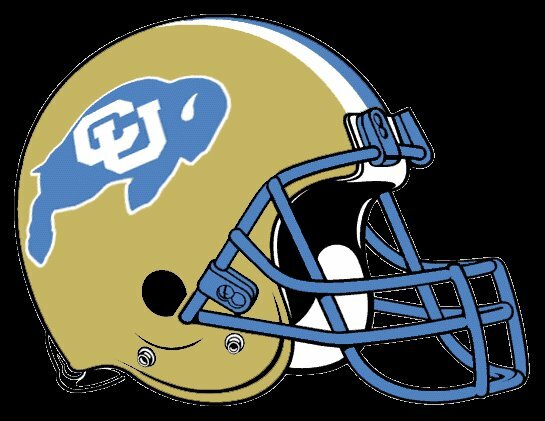 The Buffs would rally, however, late in the fourth quarter as John Hessler threw two TD passes — a 32-yarder to Marcus Stiggers with 3:16 left and, after a successful onside kick, an 18-yarder to Robert Toler with 2:37 left. Colorado regained possession with 52 seconds remaining. Facing a key fourth down with time running out Phil Savoy caught a pass off the right side and struggled toward the first down marker, but was stopped three yards short by Erwin Swiney with 12 seconds left. Ahman Green finished the day with 202 yards and 2 TDs and Scott Frost passed for 92 yards and ran for another 76 yards and a score for the Huskers. 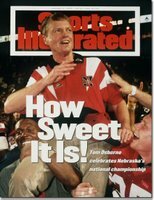 1998 Nebraska 16 – Colorado 14. In his first season as head coach, Frank Solich led the 14th ranked Huskers (8-3, 4-3) into Boulder to face the unranked Buffaloes (6-3, 4-3). With its offense struggling, Nebraska looked to its defense for help. 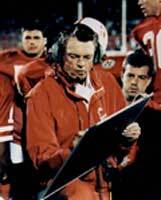 In the first quarter Clint Finley returned an interception 42 yards for Nebraska’s only touchdown on the day, putting the Huskers up 7-0. Colorado soon answered when Mike Moschetti found Javon Green with a 17-yard scoring strike. 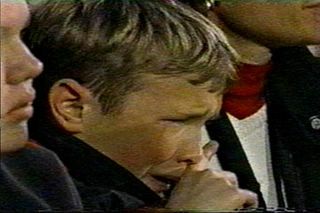 Nebraska would then take a 10-7 halftime lead when Kris Brown connected on a 30-yard FG as time expired in the half. Brown would then add another FG in the third quarter to make the score 13-7. Colorado took their first lead of the game with 2:11 left in the third period when Moschetti rolled right and threw to tight end Andy Peeke, who went untouched 15 yards into the end zone. In the fourth quarter with the Buffs facing 3rd and-22 at their own 35 Moschetti went back to throw. Mike Rucker got a hand on Moschetti’s throwing arm as the pocket collapsed, knocking the ball loose. Jeremey Slechta recovered for the Huskers at the Nebraska 43. The Huskers then marched 49-yards in 10 plays to set up a 25-yard goal by Brown with 8:48 to play. Brown’s third FG would prove the difference as Nebraska squeaked out a 16-14 win. 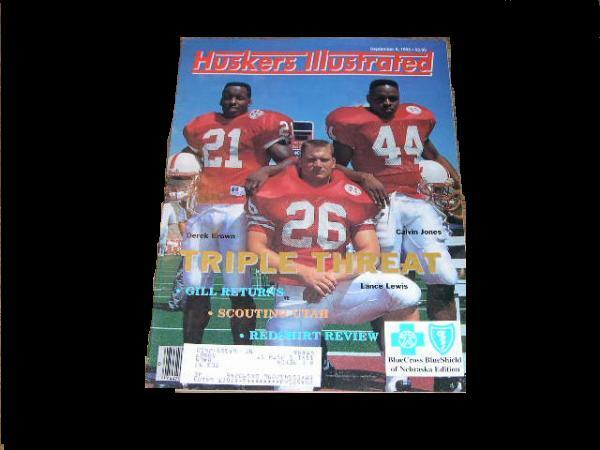 1999 Nebraska 33 – Colorado 30 (OT). The 1999 edition saw 3rd ranked Nebraska (9-1) with national title hopes enter Folsom Field to face another unranked Colorado (6-4) team. Nebraska started quickly when Dan Alexander bolted 50-yards for a score on the game’s first play from scrimmage. Alexander later busted an 80-yard run in which he outraced CU’s Ben Kelly (see video below), as well as a 1-yard TD to help NU to a 24-3 halftime lead. After a sluggish 3rd quarter marred by Husker fumbles, Nebraska led 27-3 with 14 minutes remaining in the game. Much like the year, before, however, CU mounted a 4th quarter comeback. CU managed to roar back with three touchdowns in 5 minutes, 48 seconds to tie the game 27-27 with 2:59 left in the regulation. The game-tying touchdown was set up by Nebraska’s seventh fumble when All-America rover Mike Brown couldn’t handle an onside kick. Nebraska had a chance to win in regulation when Colorado’s Cortlen Johnson fumbled at his own 16 with 1:49 left. With three runs into the line, Solich and Nebraska could have set up a chip-shot field goal for the win. Instead, Colorado got the ball back six seconds later when Crouch tossed an errant pitch to Alexander for NU’s 8th fumble of the day. The Buffs then marched through Nebraska’s suddenly porous defense 69 yards to set up Jeremy Aldrich with a game-winning 34-yard field goal attempt with two seconds left. Aldrich missed wide right — barely — as time ran out. 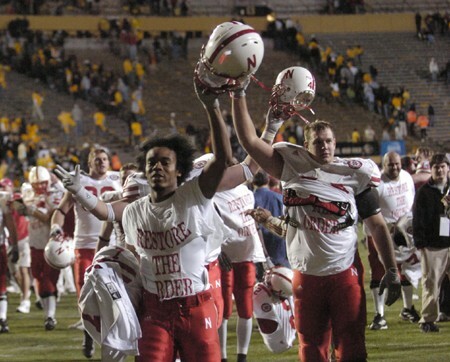 Nebraska escaped with the win on Eric Crouch’s game-winning 1-yard sneak, after the Blackshirts held CU to a field goal on their first OT possession. Although Nebraska won on the scoreboard, the listless second half cost them any chance they had at that point to meet Florida State in the Sugar Bowl. 2000 Nebraska 34 – Colorado 32. In 2000, Nebraska hosted Colorado at Memorial Stadium. The Husker defense got on the scoreboard first as Carlos Polk intercepted Craig Ochs’ first pass at the 39 and returned it for the early touchdown. Offensively NU struggled early and when their second drive stalled, Colorado blocked the Husker punt giving the Buffs the ball on the NU 23. Colorado, however, went 3-and-out and Randy Stella blocked the CU FG attempt, which was picked up by Chris Kelsay and returned to the Buff 27. Eric Crouch took it on the next play 27 yards for the touchdown and a 14-0 Husker lead with 4:48 left in the first. The Buffaloes dominated the second period and put a 32-yard field goal on the board in the opening moments of the period and added a touchdown later when Cortlen Johnson dove in from one yard out. At halftime the Husker lead had been trimmed to 14-10. Colorado then took their first lead of the game midway through the third quarter after a 12 play, 73 yard drive was capped by a 2-yard TD run by Johnson. Nebraska regained the advantage following a 75-yard drive that ended with an Eric Crouch 3-yard TD run giving NU a 21-17 lead with 5:39 left in the third. The see-sawing continued as the Buffs took the lead on Johnson’s third rushing score of the day early in the 4th quarter. Josh Brown tied the game for the Huskers with a 20-yard field goal on the subsequent drive to tie the score up 24-24. Keyou Craver then blocked another CU FG attempt and Crouch capped a five play drive with a 26 yard keeper for a touchdown giving the Huskers a 31-24 lead 5:20 left in the game. Colorado then drove the field scoring on a TD pass with less than a minute remaining. Trailing by one, the Buffs then converted a two-point conversion giving them a 32-31 lead. Starting on their own 42 with 47 seconds left, Crouch completed four of five pass attempts to move them down to the CU 22 with four seconds left. Sophomore kicker Josh Brown, who had already kicked a 20-yard field goal and missed a 32-yard attempt, lined up and booted the winning kick as time ran out. Although Nebraska won all five of these contests, we have a stretch of five games decided by a combined 15 points. By comparison the Michigan – Ohio State games during those same years were decided by 44 combined points. I’m starting to convince myself this rivalry actually exists. Colorado – Salaam 22-134, Stewart 14-24, Troutman 1-(minus 3). Nebraska – Phillips 24-103, Schlesinger 8-65, Makovicka 3-32, Benninger 8-2, Childs 5-14, Benning 3-1, Muhammad 1-1, team 1-(minus 15). Colorado – Stewart 12-28-0-150, Detmer 1-2-0-9. Nebraska – Berringer 12-17-1-142. Colorado – Westbrook 6-80, Lepsis 2-18, Carruth 2-28, Salaam 2-24, Savoy 1-9. Nebraska – Alford 5-78, Gillman 4-46, Muhammad 2-14, Phillips 1-4. 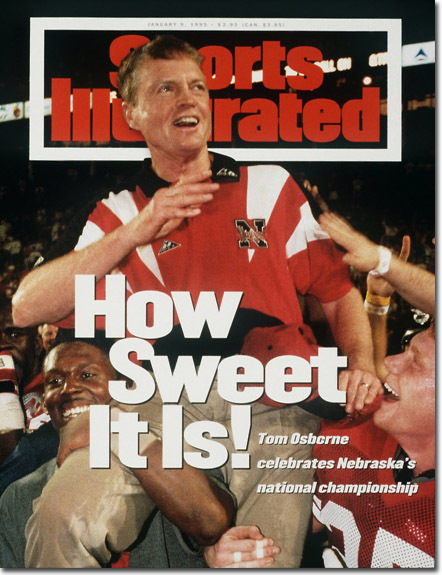 You can check all of the highlights from Nebraska’s 1994 Championship season below. This game would mark the only meeting ever between two teams tied for the same spot in the AP Poll, as the teams shared the #8 ranking. To add to the frenzy, it was Halloween night and the home crowd was jacked up despite a constant drizzle. Colorado’s T.J. Cunningham fumbled the opening kickoff. CU recovered, but then quarterback Koy Detmer threw an interception on the first play. The Huskers needed just 15 yards for their first touchdown. Nebraska’s second score came just as easily as I-back Calvin Jones took a handoff 47 yards on the first play of a drive. Detmer, who had three interceptions and a fumble, threw an interception on the next drive, and the Huskers turned that into a field goal for a 17-0 lead. Nebraska went into halftime with a 24-7 lead, and although they had no intention of letting up, the game was over before they took the field for the start of the third quarter. In the end, Nebraska outgained the Buffalos 428-144 on their way to a 52-7 blowout win. 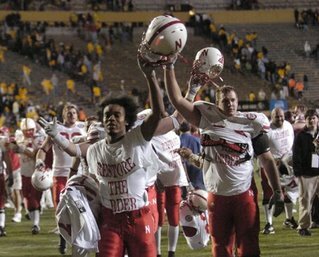 The goalposts came down and Husker fans celebrated their first win over a Top-10 team since 1988. 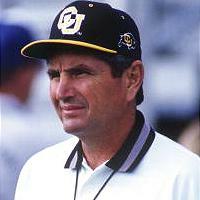 The game also marked the Buffaloes’ largest margin of defeat since 1983, when they lost by 50. The game kicked off under sub-zero temperatures in Boulder. Nebraska got the ball first and appeared to score on its second play from scrimmage when Derek Brown ran 24 yards for a touchdown, however, it was called back due to an illegal procedure penalty. Aided by a roughing-the-passer penalty on third and 15, the Cornhuskers then continued the drive and scored on Byron Bennett’s 27-yard field goal. Colorado then came right back on their first possession and took a 7-3 lead on Darian Hagan’s 11-yard TD run, which capped an 11-play, 75-yard drive that featured three completions by Hagan. After the fast start, both defenses settled down and took control. Neither team scored until Jim Harper, who earlier missed a 36-yard field-goal attempt, booted a 27- yarder to put Colorado ahead 10-3 with 6:54 left in the half. This score was set up by Hagan’s 27-yard return of a punt from the Nebraska end zone (the starting QB returned punts?). Nebraska then scored its first touchdown on a 49-yard pass from Keithen McCant to Jon Bostick with 1:17 remaining in the half. Unfortunately, Colorado’s Greg Thomas blocked the extra point and the ball was scooped up by Greg Biekert, who returned it 85 yards for two points to give the Buffaloes a 12-9 halftime lead (see video). In the third quarter Nebraska’s Byron Bennett connected from 35-yards out to tie the game at 12-12. Unfortunately, Nebraska was still struggling to contain Hagan in the second half. The Buffaloes ultimately took a 19-12 lead on Hagan’s 4-yard touchdown run with 27 seconds left in the third quarter. In the fourth quarter Nebraska finally managed to tie the game on Derek Brown’s 7-yard scoring run with 6:41 remaining in the game. Nebraska managed to maintain the momentum and two drives later, they drove 80 yards and scored on Joseph’s 46-yard pass to Johnny Mitchell for a 12-0 lead with 2:38 left in the third quarter. From that point on Colorado dominated. The Buffaloes drove 71 yards and scored on Bieniemy’s 1-yard run with 14:43 left in the game. Colorado then stopped the Huskers and started driving again. Bieniemy had an 8-yard run, which was followed quickly by a Darian Hagan 34-yard pass. Three plays later, Bieniemy scored on a 2-yard run. CU missed on the two-point conversion but led 13-12 with 8:37 left. When the game ended Bieniemy, who had 161 yards, ran off, grabbed an orange from an assistant coach and held it over his head while facing the southwest corner of the stadium, where CU’s fans were sitting. Colorado had defeated Nebraska for the second year in a row and the Buffaloes were headed back to the Orange Bowl. I seriously doubt I would be writing this blog had Osborne headed for the mountains. And I’m even more certain I wouldn’t be working on a PhD in Educational Psychology without the early influence of Dr. Tom. You are currently browsing the archives for the Birth of a Rivalry category.